If hindsight is 20/20, we have a clear picture of the lies told throughout the Fukushima disaster. Five years on, we now know which assurances from authorities turned out to be dangerously false. It took more than four years for the Japanese government to acknowledge that radiation had played a factor in bringing about casualties in the Fukushima prefecture. Of the 8,000 deaths there caused by the 2011 disaster, none were attributed to radiation leaking out of the plant. Instead, chaos during the evacuations, hardship, and mental trauma were all to blame. It wasn’t until October of 2015 that the authorities finally had to admit that radiation from the plant had contributed to a construction worker developing leukemia. 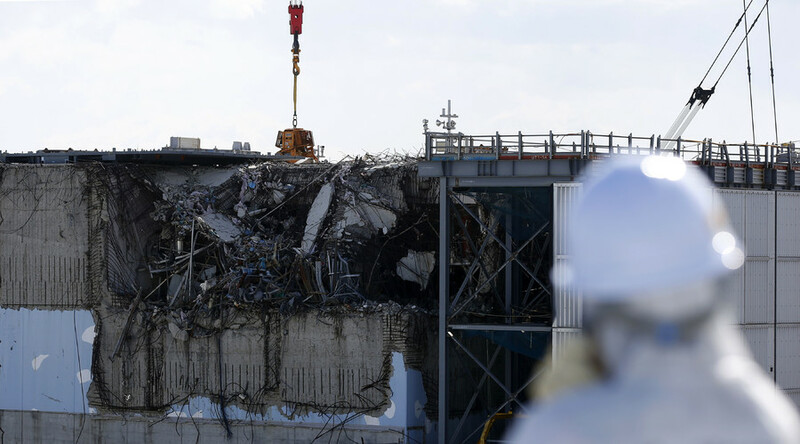 The worker in his 30s had worked at the plant between October 2012 and December 2013, where he was measured as having been exposed to 19.8 millisieverts of radiation, four times the annual Japanese limit for a worker in the nuclear industry. The true effect on workers and residents in the area won’t be known for some time. It took between six and eight years for survivors of the atomic bombs dropped on Japan by the United States to develop acute leukemia. Fukushima is described as the “worst since Chernobyl,” but in reality, it may turn out to be a lot worse. Perhaps they need to turn the scale 'up to eleven' in order to reflect the severity of the Japanese disaster. The final consequences may be far more damaging due to groundwater contamination and the number of reactors involved. In 1986, Chernobyl had four operating reactors, one of which melted down. The remaining reactors were eventually shut down. Fukushima, on the other hand, had six operating reactors, of which three entered meltdown, and a fourth was left in an unstable condition. Only two were successfully shut down. Fukushima’s location, situated along the sea and a former riverbed, also meant that the potential for harm in the event of a meltdown was greater than that for Chernobyl, which had no problems involving groundwater. The cleanup operation could take up to a hundred years, according to Arnold Gundersen, a former nuclear industry executive. In December of last year, in an attempt to reassure the public that the risks from radiation were already minimal, Hokuto Hoshi, head of an examination panel on thyroid cases, said, “It is unlikely that radiation is responsible for the recently reported thyroid cancer cases, given that there are no reports of cancer among infants, who are particularly susceptible to radiation.” His comments came after 16 cases of thyroid cancer in the prefecture were confirmed in children under 18 during the previous 12 months. Despite Hoshi’s assertions, many experts disagreed, including Toshihide Tsuda, a professor of environmental epidemiology at Okayama University. A study by Tsuda found that thyroid cancer rates in the prefecture were from 20 to 50 times higher than the national level, according to The Japan Times. The findings were based on a screening of 370,000 residents, which “is unlikely to be explained by a screening surge,” according to Tsuda, who cited radiation exposure as a factor. Prior to the disaster, Fukushima was Japan’s fourth-largest farming area. It has now slipped to seventh place, but its agricultural industry has slowly been growing again thanks to the Japanese government pushing to have the stigma associated with it removed. Fifteen percent of Japanese people are still wary of buying products produced in the region, down 1.5 percent from last year, according to a survey in the Japanese paper Mainichi. The steady resurgence in Fukushima food production can be attributed to the result of radiation monitoring tests carried out by the government, which found radiation levels in the agricultural, forestry, and fisheries sectors were below “acceptable levels” 99.9 percent of the time. Despite the results, scary abnormalities have appeared, including fish containing 258 times the level of radiation deemed safe for consumption. Authorities say the anomaly is due to the fish feeding in a radioactive hotspot. “Deformed” daisies were found near the site, which were created through a phenomenon called fasciation, although they also symbolize the warning sent in the iconic 1964 TV ad for US president Lyndon Baines Johnson. The ultimate long-term effect of this disaster is still immeasurable, with even the government estimating that the cleanup will take at least another 50 years. Nancy Foust from the Fukushima Project has warned that it would be premature to allow people to return to their homes in the area. “They have a lot of complicated, very risky work that they need to do over the next couple of decades to remove the melted fuel,” Foust told RT. Meanwhile, Prime Minister Shinzo Abe wants to restart as many reactors as possible, believing that nuclear energy should remain a key power source for Japan. Prior to their closure the countries 44 reactors were responsible for producing nearly a third of the countries energy output.